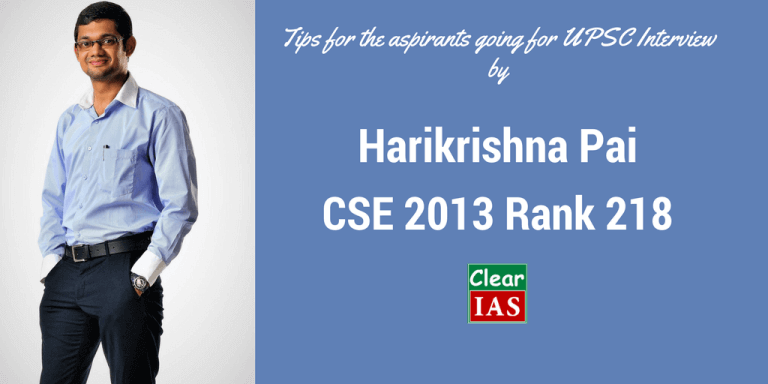 Harikrishna Pai (CSE 2013 Rank 218) in the previous post in this interview series with www.clearias.com, has shared his detailed book list and preparation strategies for Prelims and Mains. 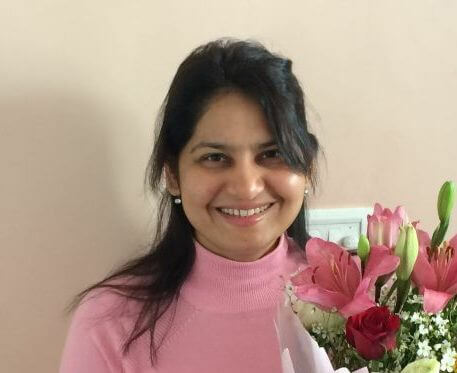 In this post (Part 4), he shares his interview preparation and UPSC interview experience. 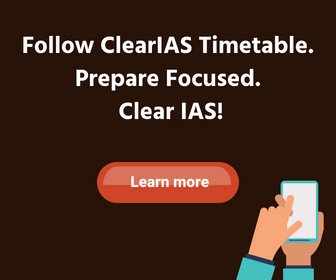 We hope this post to provide valuable insights to all readers of Clear IAS. Enjoy reading! I tried to chalk out some probable areas of questions from my Detailed Application Form and got some general idea. (State, district, degree, PG, name etc). Made Newspaper reading more detailed. I got some interview classes and mock interviews from Pala and Kerala State Civil Service Academy. We friends also helped each other in preparation. (a) Particulars of prizes,medals scholarships,etc. GATE scholarship, University Topper in M.Tech, State Topper in B.Tech from NSS Technical Unit Kerala, Published Conference Paper with IEEE, Best Outgoing Boy from JNV Palakkad. House Vice Captain, Secretary of Philately Club and Member of Mess Committee at JNV Palakkad. Coordinator of Debate and Literary Club and Quiz Club at LBS College of Engineering. NSS Executive Committee Member at LBS College of Engineering. A.P Singh (IPS Retd. ), former CBI director. Interview lasted for about 25 minutes. Even the questions with the prologue- related to your option (history) were ‘economic’ in its form- china’s growth since world war to reforms period, comparing middle East with East Asia etc (Don’t ask me why so much economics…J somehow it happened so). There were questions on greenhouse gases, their impacts, and also on red corridor. I also got some Kerala questions like shining example for PPP from your state (Cochin International Airport Limited). One board member asked me whose statue is there in Kanyakumari. As I was yet to visit this place, I said I’m not sure.. he helped me by saying that it is of Thiruvalluvar and further asked a couple of questions on Thiruvalluvar, which I could answer. UPSC interview in most cases is a friendly exercise. So there is nothing to fear about. But be truthful to yourself and answer confidently. But never underestimate the persons in the board. They have vast experience and knowledge. ClearIAS.com: Do you think that there is relation between profile of the candidate and interview marks? At a time when lot many candidates from top institutes like IIT, IIM or AIIMs appearing this exam, is there any matter of worry for other candidates from state colleges or those without work experience? It is very difficult to answer such a question with my present level of awareness. But, I can say one thing – there are people even from outside these premier institutes who have scored well in the interview. So there is no need for such apprehensions.